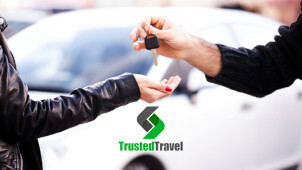 A specialist in Airport Parking, Lounges and nearby hotels, Trusted Travel is your reliable source of secure services and parking options to ensure that your trip gets off to a sound start. Keeping its customers in mind, and their budgets too, you can rely on Trusted Travel to get you the best rates on sheer convenience and peace of mind. Price checking across 100s of UK airport car parks, now you can eliminate the extra stress and money pressures of travel with this company on your side. Selected for their security and quality of service, you will be sure to only encounter parking providers with a proven track record of keeping cars safe while you’re away. With Park & Ride, Meet & Greet and luxury Valet options available in addition to long and short stay parking - whether you’re going on a long-haul family holiday or jetting off on business for a couple of nights - you will find an accommodating option for you with Trusted Travel. Letting you be flexible in your travel arrangements too - with delightfully convenient hotels to stay in should you need to catch an early flight - now you can stay close by and even unwind before you board your flight in an airport lounge. However you want to journey, Trusted Travel can make it an enjoyable experience every time. How do I use my Trusted Travel discount code? Choose an option to suit you and continue to complete your discounted booking. Join the Trusted Travel Club to get exclusive access to discounts, the latest news and updates from your perfect travel partner. Can I pay for my Trusted Travel booking on arrival? You must pay prior to your arrival as Trusted Travel is but a booking agent. You must leave your keys when parking unless stated otherwise, do check the information for each service purchased. Can I amend my Trusted Travel holiday booking? For changes to flights and more, email info@trustedparking.com. You will be emailed a confirmation of your booking, be sure to check your spam folder. In the event that you should want to cancel a booking, email info@trustedparking.com as soon as possible and note that cancellations will be subject to an admin fee unless cancellation cover was purchased. Some bookings are unamendable. Email: support@trustedtravel.com or use the online contact form. To contact your individual service provider, you will find their contact details in your booking confirmation email. Airport Car Parks should be open 24/7, be sure to check your individual service provider for exact opening times of Airport lounges and hotels. You’ve booked your flights - don’t forget about the parking! Trusted Travel are specialists in Airport Parking, Airport Hotels and Airport Lounges. So whether you're flying for business or leisure, use a Trusted Travel discount code to save, and enjoy the peace of mind that comes with booking in confidence. When you can reduce the costs of your chosen parking or hotel option - that’s one less thing to stress about when making your travel arrangements! Join the Trusted Travel Members Club to enjoy a variety of exclusive benefits. You’ll have lifetime access to market-leading discounts and special offers for members only - sign up with your email address and you’ll never have to look far for a great deal on parking! Trusted Travel are teamed up with some of the leading UK Holiday Parks, so if you’re looking for a great family break then this could be for you. Grab a Trusted Travel promo code and make your break that bit more affordable. Whether you fancy a weekend away at a luxury lodge or if you want to embrace nature and go camping - Trusted Travel will be sure to have the perfect option for you!